Eternal Orthodox Church calendar for the 01.07 year 2017. A Roman military commander in Tripoli in Phoenicia in the reign of the Emperor Vespasian, he was born in Yelada, "of great physical stature, powerful, strong and bold in battle". The imperial governor, Hadrian, sent a military detachment to seize Leontius, Hadrian being a fierce adversary and persecutor of Christians. The commander of the detachment, Hypatius, fell ill on the way with a grave fever and the unit had therefore to slow its pace. One night an angel of the Lord appeared to Hypatius and said to him: "If you desire to be healed, you and your soldiers must cry to heaven three times: "O God of Leontius, help me!" ". Hypatius told his companions about this vision, and they all shouted together as the angel had instructed him, and Hypatius was immediately healed. This miracle amazed them all, and especially a certain Theodulus. Then Hypatius and Theodulus went on ahead of the other soldiers to find Leontius. Leontius received them courteously and offered them refreshment. When he had expounded his faith in Christ, their hearts began to burn with love towards the Lord, and a bright cloud descended upon Hypatius and Theodulus, shedding dew over them. 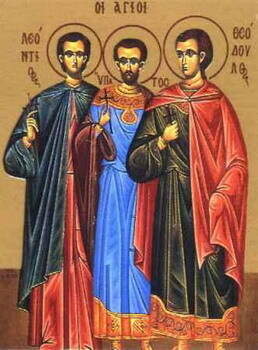 In this way the Holy Spirit of God Himself baptised these two converted souls while St Leontius spoke the words: "In the name of the All-holy Trinity; Father, Son and Holy Spirit." The evil Harden discovered that Hypatius and Theodulus had become Christians and ordered that they be beaten without mercy and then beheaded with an axe. In this manner Leontius"s spiritual children died. Then Hadrian ordered a most cruel torture for Leontius, but Leontius remained unwavering in his faith. His entire body was covered with wounds, but he prayed to God unceasingly to remain with him. In the midst of these most vicious torments, an angel of the Lord appeared to comfort and encourage him. At last they threw the martyr onto the ground and flogged him until he gave his soul to God. Leontius"s sufferings were witnessed by a certain Notarius, who recorded all that he saw on tablets and placed them in the martyr"s grave. 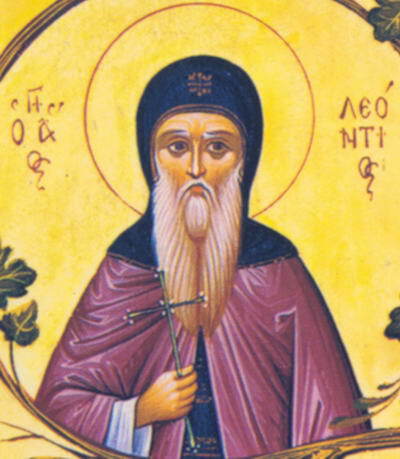 St Leontius suffered with honour in the year 73. 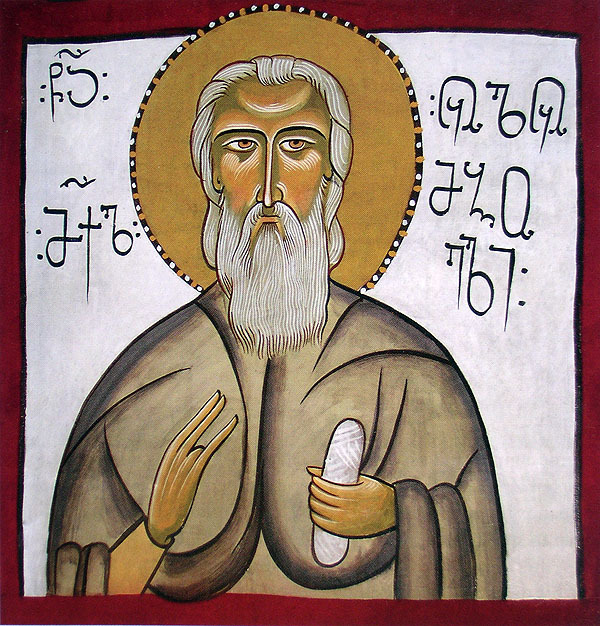 A Greek from the Peloponnese, he lived the ascetic life for sixty years in the monastery of Dionysiou, and went to his rest in 1605 at the age of eighty-five. It is said of Leontius that he left the monastery only once in all the sixty years: he entered it when he first went to Dionysiou and left it when they carried him out to bury him. He had a miraculous gift of discernment and prophecy, and myrrh flowed from his relics after his death. The Holy Martyr Etherios was beheaded in about the year 305 for his confession of faith in Christ during the time of the persecution against Christians under the emperor Diocletian (284-305).